As the days get longer, my kids are spending more and more time outside. And with the warmer evenings comes one of my kids’ favorite activities: catching fireflies! 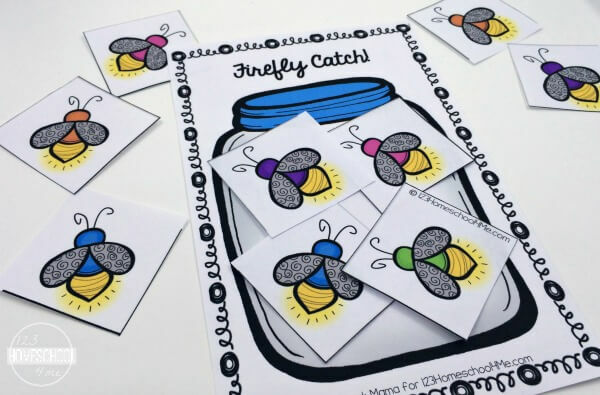 Inspired by their love for catching these glowing bugs, I created a simple,Firefly Make 10 Math Game to play together! 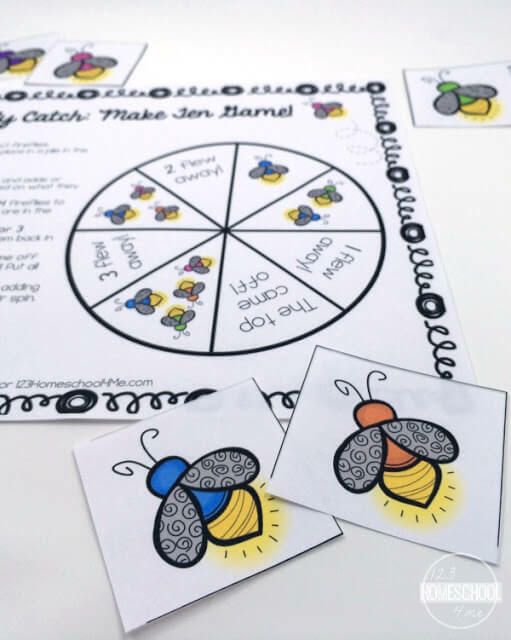 This game helps kids practice counting, adding and subtracting and is super easy to set up and play. 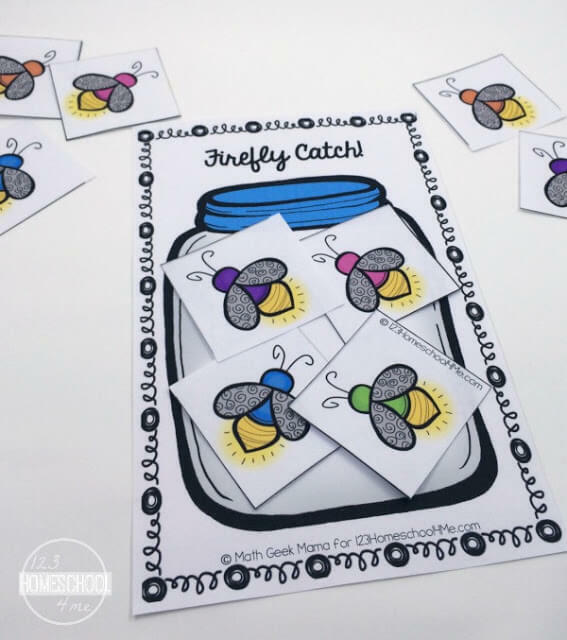 This fun, summer themed Firefly Make 10 Math Game is such a great way for preschool, kindergarten, and first graders to practice math. To set up the game, simply print the game pieces (BOTH color and black and white are included in the download) and assemble the spinner. Then you’re ready to play! The object of this game is to be the first to “catch” ten fireflies. If they land on a picture of fireflies, they can add that many to their jar. If they land on a space that says, “___ flew away,” they subtract that many from their jar. And if they land on “The top came off!” then, uh-oh! They remove all the fireflies from their jar because they all got away! The first player to catch exactly ten fireflies wins. This means that if they have 8 already and spin a 3, they can’t do anything and play moves to the next player. This game is a wonderful way for kids of multiple ages to explore math together. Preschoolers can practice counting, while older kids can practice adding and subtracting (have them find their total as they go by saying things like, “You have 6, but 2 flew away. How many will you have now?”). 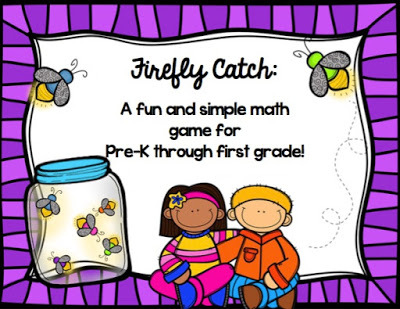 If you have older ones, encourage them to use their mental math skills rather than re-counting their fireflies after each turn! If you enjoy this game and like to combine math with reading, you may also enjoy this game to play along with the book, Ten Apples Up On Top by Dr. Seuss! No matter the ages of your kids, I hope you take some time to enjoy math together through play; it’s one of the best ways to learn!